With hunting, it’s important to follow the rules, regulations, and requirements that will vary by state and season. Just like every other skill, hunting takes time to master; it can take people years to become expert hunters. Before you hunt you should make sure to have a valid hunting license, in order to get your license, the Department of Wildlife requires you to complete a hunting course, and you cannot be issued a hunting license without completing the course. The adventure that comes with the hunt all depends on what you’re hunting. 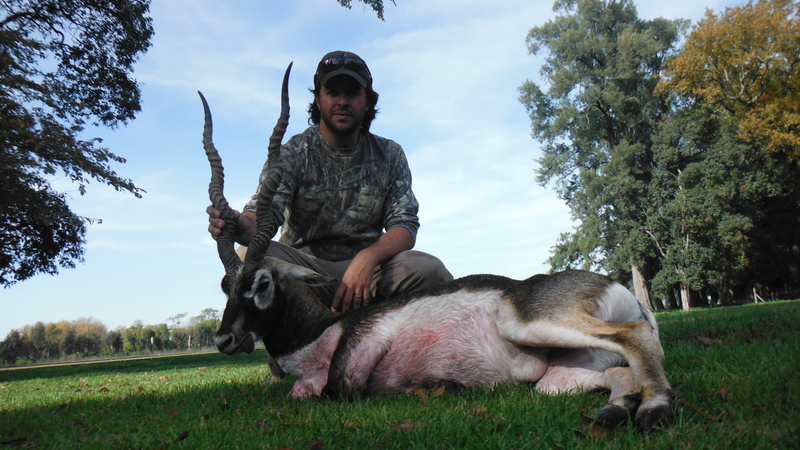 After a while, many hunters grow tired of deer and birds, which is why many take up Blackbuck Antelope hunting. The Blackbuck Antelope was native to India, but there are over 20,000 Blackbuck Antelope roaming the Lone Star State, Texas. This beautiful Antelope earned its name for its darker upper body, it also has a white stripe on its underbelly and white rings around its eyes. The male antelope have long spiral horns, with consistent ridges all the way to the tip of the point, and can measure up to 30 inches in length. This impressive creature can typically weigh between 70 and 100 pounds and typically stands less than 30 inches. Being able to successfully hunt this antelope is considered by many to be a crown achievement because the animal never seems to stay still, and their small statures make the challenge of hunting this antelope an exciting experience. This best way to hunt the Blackbuck is from blind, using a bow. Having an elevated position will obviously improve your vantage point. Many will set up their hunting blind months in advance, antelope-like deer are known to feed and sleep in a certain area, and their animalistic senses give them the ability to know if anything is even slightly out of place; this is why you should set up your blind in advance. You can also set up a tree stand; hunting from a tree will keep you concealed and give you the best possible vantage point. Rather it’s hunting with a gun or bow, from a blind or from a tree; hunting is a sport that will give you memories, you can cherish for years.